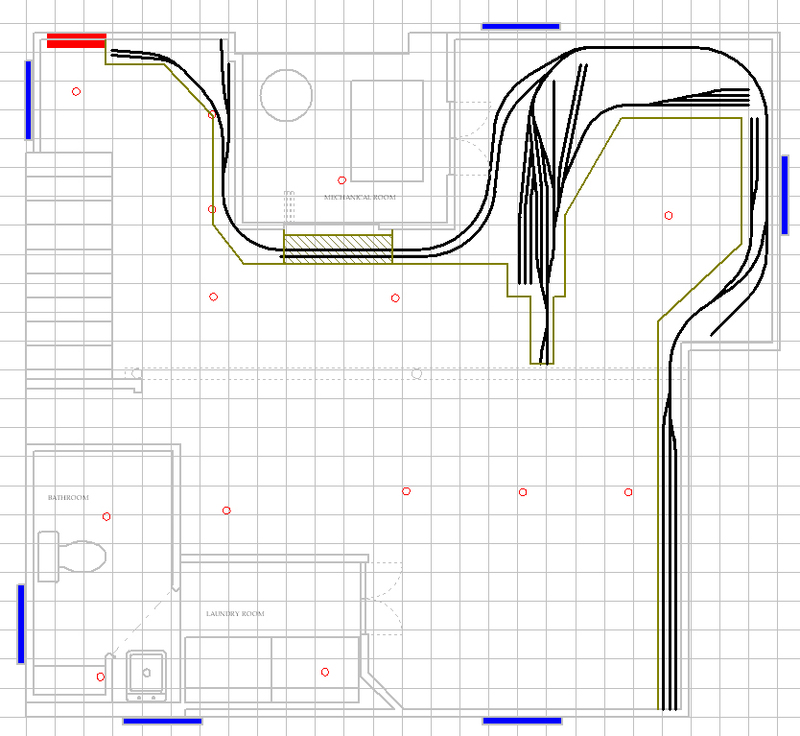 Here was my attempt to design the Hoboken Shore Railroad into my basement. The Idea was to have this as the main railroad and rotating different New York City terminal yards. The size of the terminals made this idea impractical.